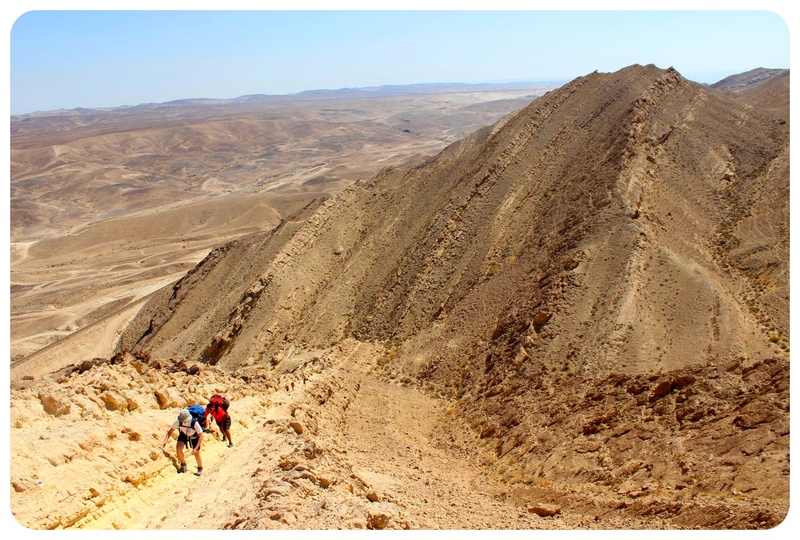 As most of you know, I went on trekking trip to Israel last month. Long before I boarded my flight, I got an email from the organizers of the trek telling me that I am required to buy travel insurance for this trip. ‘Really?’, I thought, ‘is it really necessary for a 4-week trip?’. I looked into pricing for travel insurance in the UK (still my country of residence) and came across this number: £50.98 (around US$81). 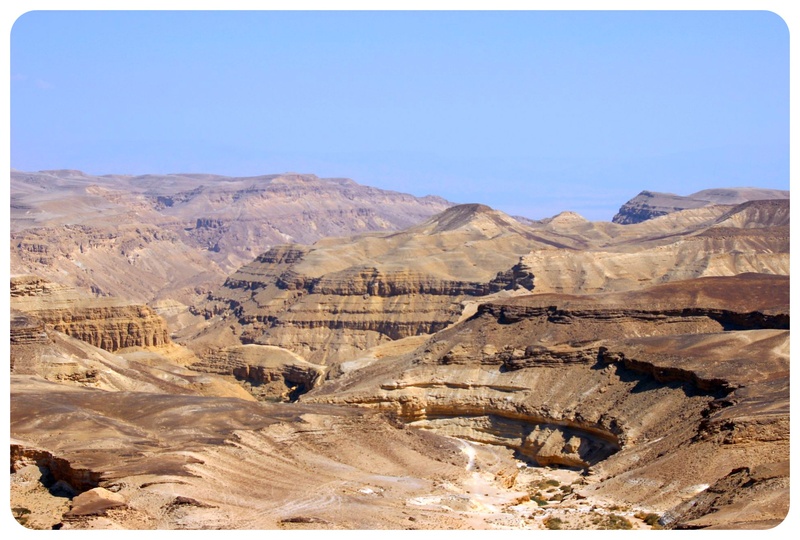 If you’re planning a hike like this, travel insurance is a must! This included medical care, transport back home in the case of an emergency, trip cancellation, flight delays or cancellations, personal liability, theft or loss of my belongings up to £1,000. (Side note: I know that most people travel with more equipment than I do – I travel with gadget of little value for a reason though – but the insurance plan I chose is the budget plan. Investing just £6 more on a better insurance package would insure my belongings up to £2,500 (roughly US$4,000). The policy even covers missed flight departures, which one of my fellow hikers was delighted to hear after having missed her flight and re-booking on another flight to Tel Aviv when she was already at the airport.Luckily I wasn’t robbed, my flight wasn’t cancelled and i didn’t get sick (the story of a boy who had to be rescued with a helicopter after breaking his ankle in the Negev Desert though got me thinking about how long you’d have to pay off the debt for something like that – medical expenses with Avanti are covered up to £10,000,000). Imagine having to get evacuated out of a place like this! While I didn’t get sick, my camera got severely sick, however. Two of my lenses, to be precise. I am still not sure what exactly happened, if they didn’t cope well with the desert sand or just decided to act up on me, but two lenses worth $1000 (£625) simply stopped working. I couldn’t believe that this was happening to me (and how limited I was from now on with regards to picture taking!) but when one of my fellow hikers pointed out that stuff like this was usually covered by travel insurance, my mood brightened. I really didn’t have the money to replace two lenses – and upon checking if incidents like this were covered, I found out that travel insurance did indeed cover broken equipment! Let’s look at the numbers: $81 for insurance vs $1,000 to pay the replacement out of my own pocket. Next time I am wondering if it is worth buying travel insurance, I know the answer already. Survived the desert trek without any injuries! A few years ago, my cousin spent a year in the U.S., working as an au pair (live-in nanny), a popular thing to do for graduates in Germany. Another popular thing while doing this? Using your vacation time to travel the United States, of course! Some people road trip cross-country, others just hit up the beaches of California or get sucked into the nightlife of Miami. 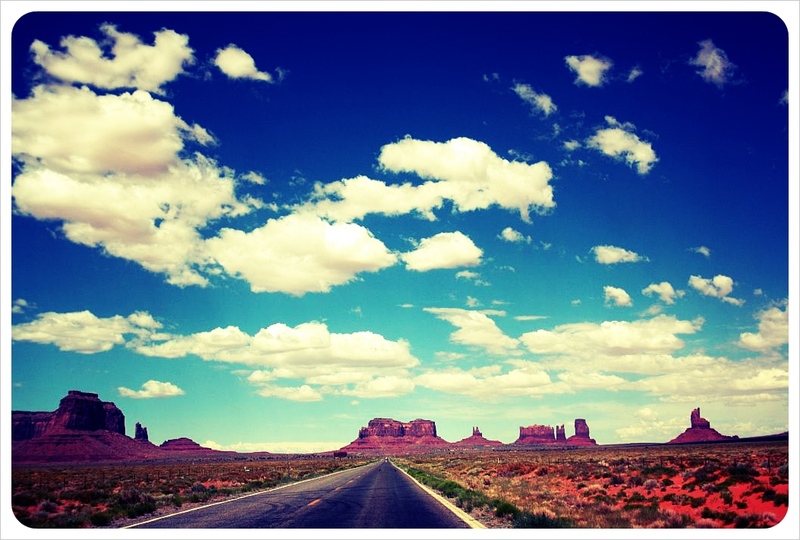 The South West of the U.S.: Perfect road trip scenery! 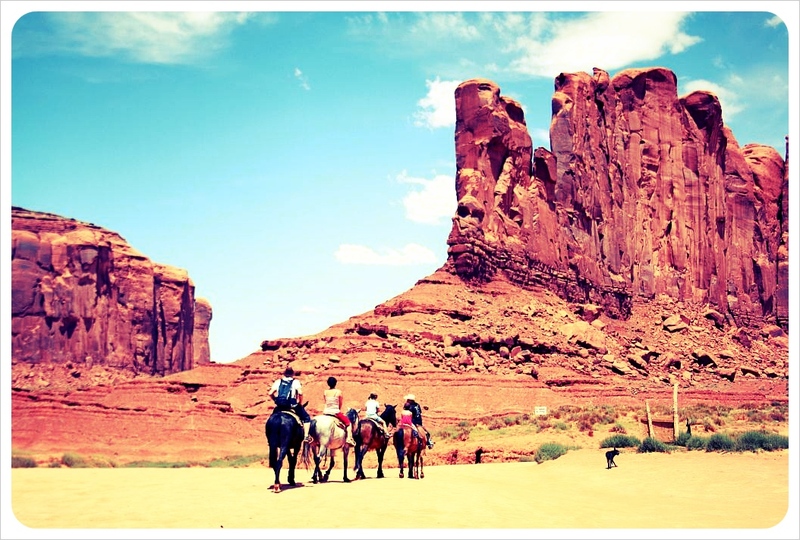 My cousin had her family fly in from Germany – parents, siblings, grandparents and aunt & uncle, and they had planned an epic road trip through the South West, complete with RV rental, canyon climbing and river rafting. That trip ended much sooner than expected, when on a horseback riding trip one of the horses panicked (for no apparent reason), reared and threw my aunt off, finally landing on top of her. It was a horrible accident. Her hip was broken in four places, her bones were even sticking out of her skin. Since they were in the middle of nowhere in the borderlands of Utah and Nevada, they had to wait hours for a rescue helicopter, while she couldn’t feel her legs at all. She had to stay in a hospital in Salt Lake City for weeks after the accident, undergo several complicated surgeries, and finally had a special air transport back to Germany arranged for her. Now imagine she would have had to pay for all that out of her own pocket. The medical bills were in the hundreds of thousands of dollars! I can’t stress enough how important it is to invest in travel insurance, and luckily there are fantastic options like multi-trip coverage, policies for the kind of vacation you’re going on (for example a cruise holiday), the activities you’re planning to do, and even certain age groups, with travel insurance offers for over 60s or under 20s. At the entrance of our cave tour. 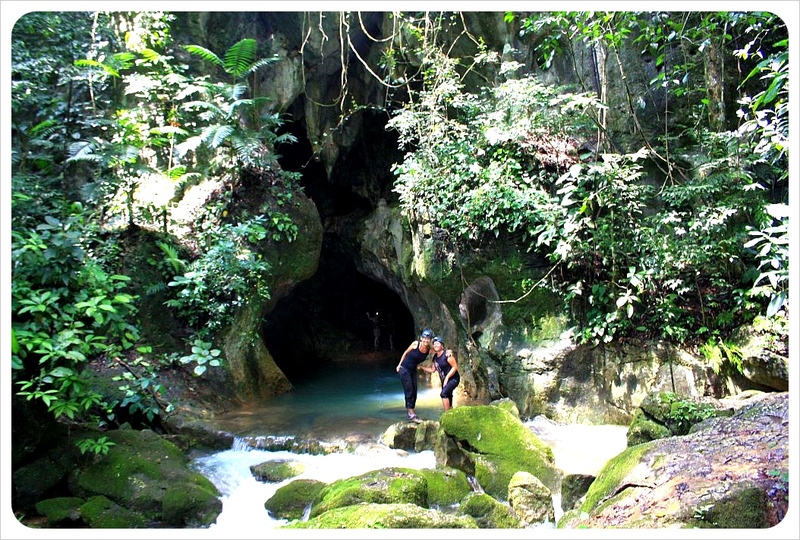 I was glad that we had travel insurance there – swimming and crawling through the unlit cave. The accident that shook up my entire family is just one example of what can happen to you – when you expect it the least! When Jess and I spent a couple of months road tripping around the South and visiting friends in Chicago in 2011, she got so terribly sick that we had to go to the emergency room on a Saturday night. A five-minute examination by the doctor came to just under $1000. Now imagine we would’ve needed more than just that. If you need to be flown home or rescued with a helicopter because you got lost on your hiking trip, you don’t want to pay that out of your own pocket. In fact, people can get in huge debt because they were too cheap to invest $50 in travel insurance. That’s the thing – travel insurance is not expensive! It will run you around £40 per month for a long-term trip, or £30 for a two-week vacation, which is really not a lot. But by investing this little extra cash, you can save thousands of dollars if really something happens to you. 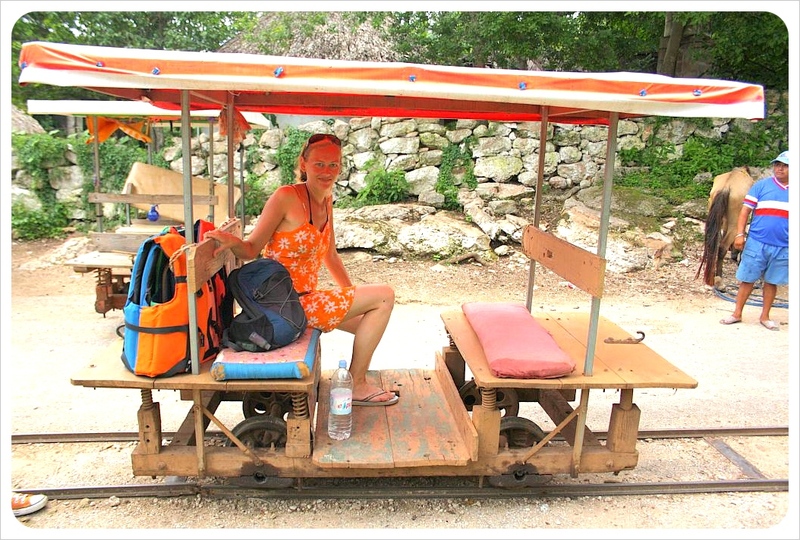 Rickety means of transport call for travel insurance! I got into two bicycle accidents here in New York in the span of two weeks. Just this morning, I collided with a super speedy cyclist when I was crossing the street. We were both incredibly lucky that we got away without any major injuries. Last week when the passenger door of a car opened unexpectedly and I couldn’t hit the breaks in time – I crashed straight into the door with my bike. Luckily I got away with some minor wounds and bruises, but moments like this make you just realize how important it is to have this feeling of a ‘safety net’ in the back of your head – knowing that if something happens, you have an insurance that takes care of you. Before the accident – still smiling on my Citibike! Do you but travel insurance when you go on a trip? And more importantly – did you ever have to use it? We spent most of our first year as full-time travelers in good health and free of robberies/incidents, and rarely thought about our travel insurance policy. Until right at the end of the year-long insurance contract when we both caught a major bug during our house-sit in Germany (we will spare you the details – trust us, it’s better that way). Although the company reacted very quickly and accepted our claim over the phone, the high excess waiver fee matched the amount we spent on doctor visits and prescription antibiotics. Imagine our disappointment when we received the insurance claim check for $14. Total. Luckily the out-of-pocket expenses in our case were relatively low, so rather than moaning about it, we simply saw this as an opportunity to re-evaluate our travel insurance needs. Using what we now know after 400 days on the road about the realities of long-term travel, we are doing massive amounts of research for the best travel insurance packages. What we have found is that there are hundreds of travel insurance providers, but before you make your short list, it is essential to nail down what elements you need your insurance to cover. How long will you be traveling for? Annual travel insurance contracts normally cover several short-term trips per year, each up to 30 days maximum. If you plan to travel for over 30 days at a time, look into backpacking insurance, which ranges from three months to a year or even 18 months. Which countries will you be visiting? Insurance prices vary greatly depending on the countries you plan to visit. Your insurance quote for traveling in South East Asia, for example, will be remarkably cheaper than if you include the United States in your itinerary. If you do choose to travel through the United States, make sure you have the appropriate travel insurance, as even a basic visit to the doctor can be tremendously expensive, and a trip to the emergency room could eat through your budget enough to cause an early end to your trip. The price of international travel insurance also depends on the kinds of activities you plan to undertake on your travels. Any adventure or winter sports such as bungee jumping, mountain climbing, scuba diving or skiing and snowboarding will increase your travel insurance quote. If you try to avoid the extra charge and are injured during an adventure activity, the hospital bill will come 100% out of your own pocket, so it is worth it to admit it and pay for the extra coverage up front. Make a list of all the items you are bringing along the trip, and know their value. Knowing how much your belongings are worth enables you to look for travel insurance which offers full liability up to the exact amount of your valuables. Having a list ready (best to be kept in an email so that you can access it if you need it) will also make it easier for you to make a claim that contains all of your belongings along with their value. 1. How long does it take for the insurance to reimburse your expenses? If you have to initially out of pocket for a medical transport or surgery, you don’t want to wait for months to get your money back. Make sure to find a company that promises quick reimbursement of your costs. 2. Can you call your insurance 24/7 to make a claim? Check the company’s customer service – how do you make a claim? Can you call at any time? This is important as you will often be in a different time zone to the country in which you purchased your insurance. Do you need to provide them with receipts of your expenses before they reimburse you? 3. Does the policy include unlimited medical and hospital cover plus medical evacuation expenses? Not all travel insurance companies offer unlimited cover, and if there is a limit, make sure sure that it would still pay for transport to your home country if needed, and treatment of severe injuries in all countries that you are planning to visit. 4. Which personal belongings are included in the policy? Are electronics covered or do you have to pay a surcharge for laptops, cameras, etc? Some travel insurance companies do not include electronics or cameras but ask you to insure them extra. Check that everything you have with you is covered before purchasing a policy. 5. What does the policy say about high-risk travel destinations? Several travel insurance companies do not offer full coverage for so-called high-risk destinations, i.e. countries which are at war or experiencing political unrest. Check that the countries you are planning to visit are covered by your policy. 6. What is the fee excess of the policy? Most travel insurance come with an excess, or deductible, which is the amount policy-holders must pay before the insurance kicks in. Make sure you know this before you purchase the policy. In the end, we received $10 back from our only claim, because of the high deductible. 7. Does the insurance cover additional costs resulting from a robbery? If your passport, cell phone, laptop and credit cards get stolen, you are likely to have additional administrative costs for canceling a phone contract, credit cards, applying for a new passport, plus travel costs to get to your country’s embassy to pick up the new passport – which might be all the way across the country from where your belongings got stolen. Find out just how much of this is covered by the insurance company you choose. Cheap is not always the best! International or even domestic travel insurance might not seem essential if you’re young, in perfect health and heading to a fairly safe location, and you may decide for a cheapie policy. However, opting for the cheapest of any type of travel insurance will include major flaws which might not be visible at the first glance, but could end up costing you thousands of dollars in the event of a true emergency. Shelling out the initial cash for quality coverage is worth far more than picking up the tab for your lost laptop or emergency medical expenses. Do the research, evaluate your needs and spend the money on the right insurance policy for you. Finally, make sure to keep the receipts of all the expenses in case you have to provide them after returning home and keep a good record of all other costs incurred – phone calls, tickets and other fees, in order to be able to make a full claim.